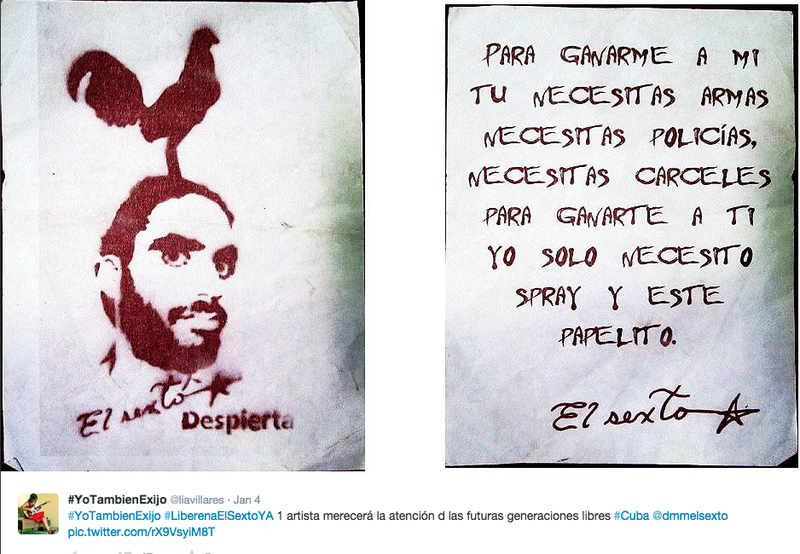 Left side: El Sexto, disappeared. Right side: For you to beat me you need weapons, you need police, you need prisons. For me to beat you I only need spray paint and this little piece of paper. Lia Villares’ tweet: #IAlsoDemand #FreeElSextoNow 1 artist deserves the attention of the free generations of the future free.